My mom found Family Mart only ice cream "Ottotto Ice Cream" and bought it for me. It's launched on May 31, 2016 for a limited quantity and solely sold at Family Mart. 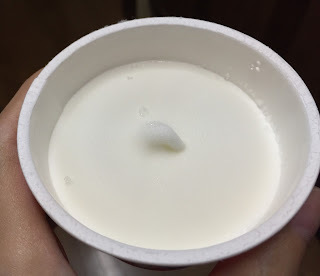 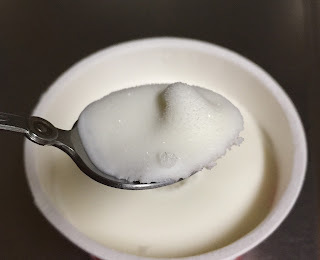 It's a lightly salty milk ice cream, according to the lid. Ottotto (おっとっと) is produced by Morinaga and it's a seafood shaped snack since 1981, and it's made with potatoes and seasoned with salt. 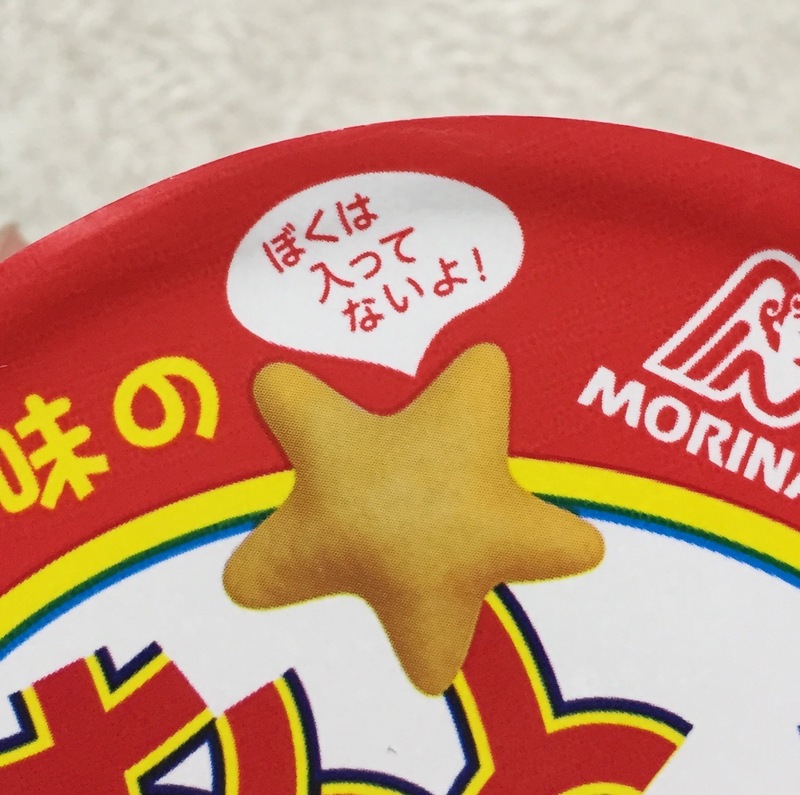 On the lid, starfish shaped Ottotto says, "I'm not in (the ice cream)!" 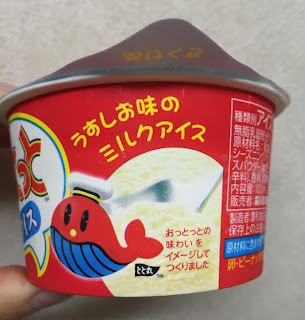 Globefish on the cup says, "I'm not in (the ice cream) either!" 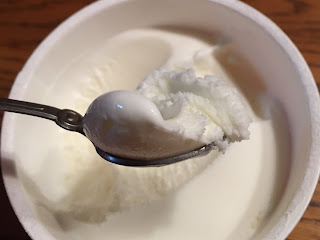 Lightly salted milk ice cream. The ice cream was pure white unlike actual Ottotto, which are lightly brown. 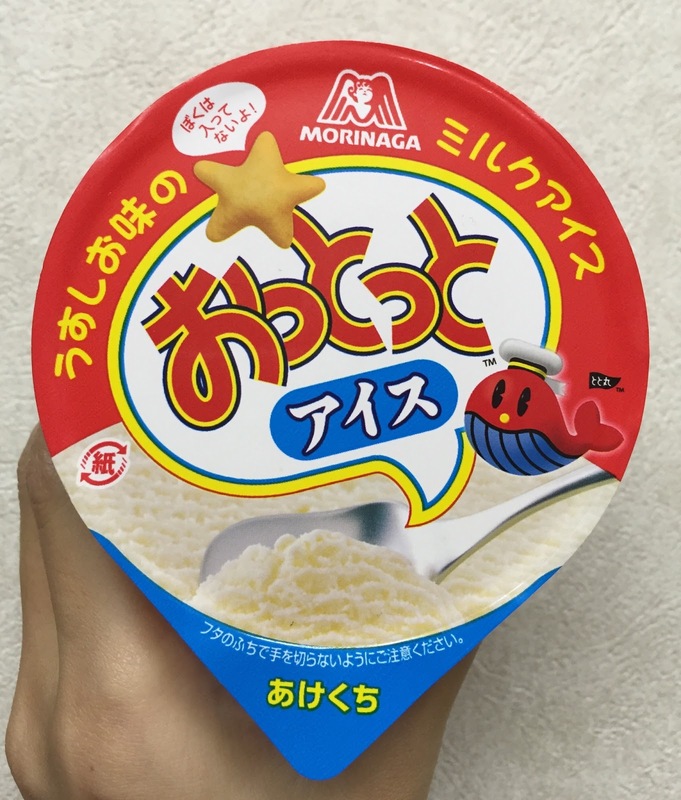 First, it's just a milk ice cream but the aftertaste was really Ottotto even though there's no Ottotto. 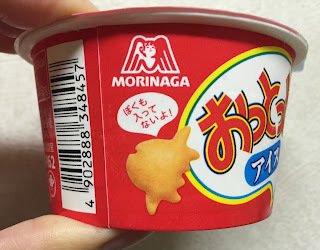 It had bitterness similar to beer year and malt, and also it had chicken flavor. 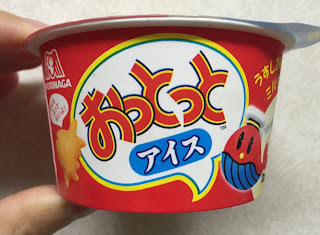 I got used to the taste by the 3rd bites, but it's quite bad and I could only eat about half a cup. 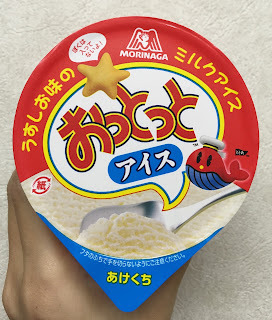 It's been a while since last time I had such a mediocre ice cream.